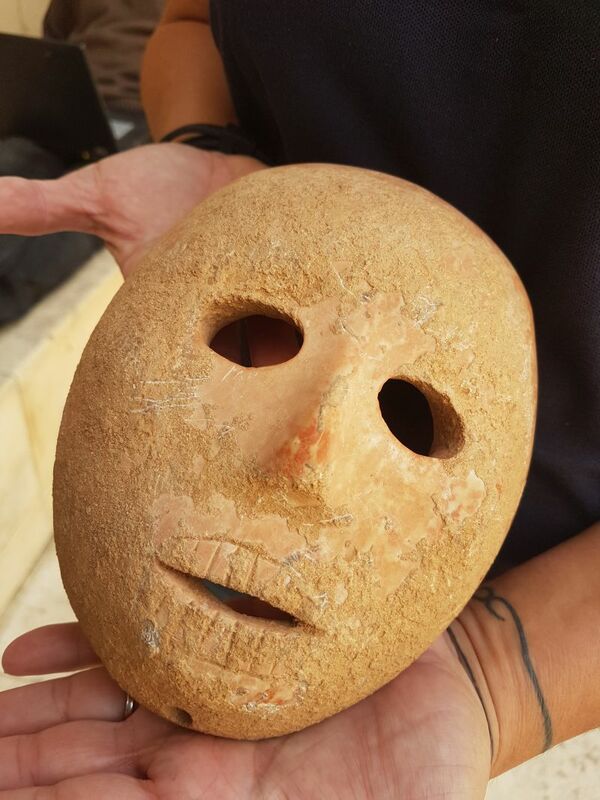 News of a carefully smoothed and fashioned stone mask, handed into the Israel Antiquities Authority at the beginning of 2018, has been released for publication. Found near Pnei Hever in the Hebron Hills, the mask has been dated to the Pre-Pottery Neolithic B period. Only fifteen of its kind have ever been discovered, and only one other of those can be traced to its place of origin. 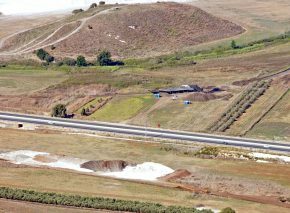 That one was found in pieces in a cave near Nahal Hemar, not far from Arad, after the site had already been looted by antiquities thieves. The area where this mask was found has been surveyed in preparation for more intensive excavation, and archaeologists hope to prove it was a center for the manufacture of stone masks used in ritual activities. The stone mask’s design and the high level of its execution make it an extremely exciting find. The stone has been made completely smooth, the contours of the face are perfectly symmetrical, and it’s even been fashioned with cheek-bones, an impressive nose and a mouth with teeth. The mask was carved using stone tools from yellow-pink stone, and is pierced with four holes – two at each side, which were perhaps used to suspend it from a wall, sacred pillar or idol. Other materials may originally have been attached to represent hair or a head-covering. There is no aperture in the carved nose, making it unlikely that the mask was ever worn by a living person, especially considering its immense weight. 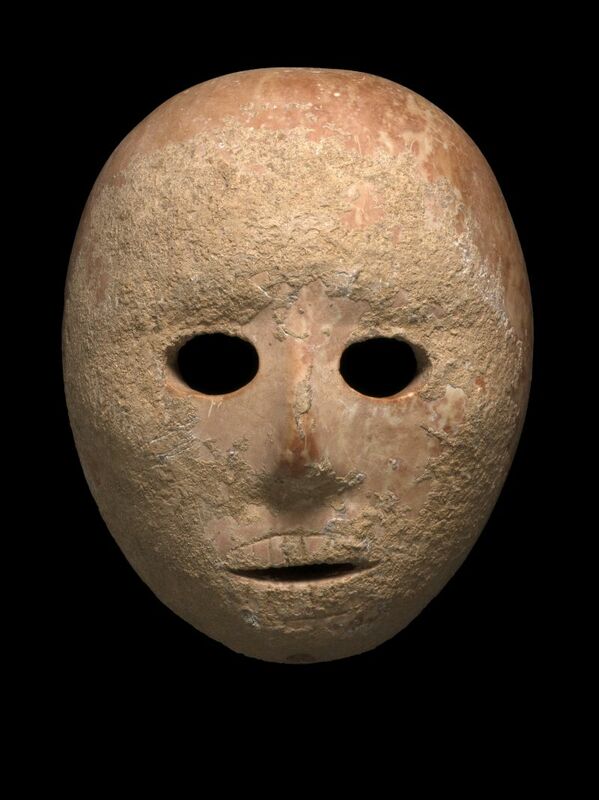 Stone masks are linked to the agricultural revolution. The transition from a hunter-gatherer economy to ancient agriculture and the domestication of plants and animals was accompanied by a change in social structure and a sharp increase in ritual-religious activities. Ritual findings from that period include human shaped figurines, plastered skulls, and stone masks. 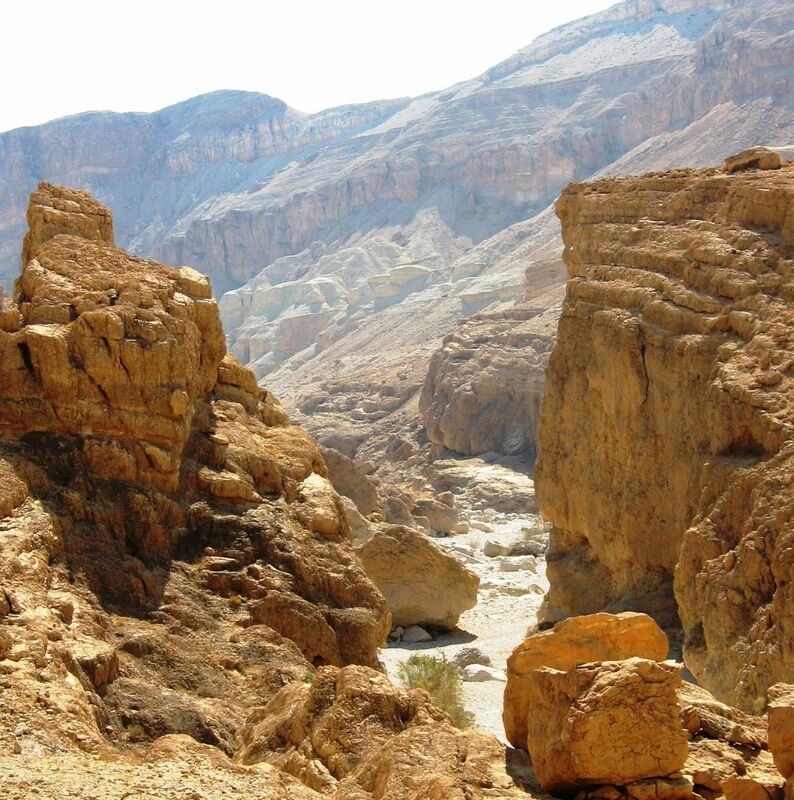 Other sites in Israel dating from this period are the circular tower and adjacent walls in Jericho’s Tel es Sultan, and the above-mentioned caves in Nahal Hemar near the Dead Sea. Lupu suggests that this era also marks the beginning of ancestor worship and the dawning of a consciousness of family and tribal heritage. Stone masks, plastered skulls buried beneath the floors of houses from neolithic settlements of the time, sometimes with added shells for eyes, and the like were apparently thought to grant the dead eternal life.